eBay Daily Deals: Click the link on the home page to visit the featured items near the bottom of the page. Here at eBay, deals are the draw, so a Top Rated seller can deeply discount an item, offer free shipping, and get eBay to feature his or her listing on the home page. eBay rotates six featured items each day; during that timeframe, these items are replaced with other items only when the inventory of a featured item has been fully depleted. When you click one of the featured items, you’re instantly beamed to the eBay deal’s featured items page. You can find everything from jewelry to stores built by major brands to sell their items on eBay. Featured Items are not for mere mortal sellers. They’ve been lifted to that exalted status because sellers met eBay’s stringent requirements for Top Rated Sellers and have assured eBay that they have enough stock to fulfill a huge swath of orders. Buying Daily Deal items works the same way as buying any other item on the site. Bill Me Later: With this service, you can Buy Now and Pay Later. Bill Me Later (a PayPal service) is an online reusable credit line that’s yours without carrying a card. eBay Classified: Free Classifieds? How cool is that? 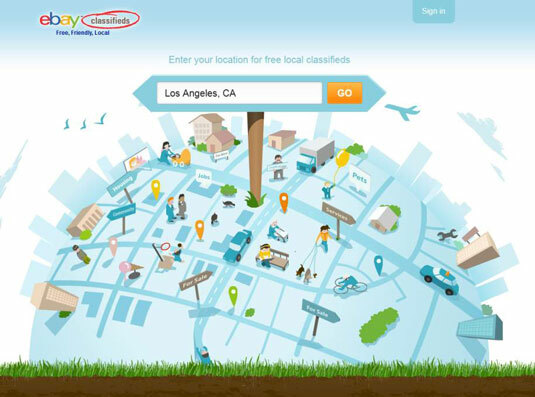 Visit here for a website full of local classified ads. These ads are like the ads that appear in the newspapers, but in this case, they’re online. Half.com: Half.com is a long-standing Internet site where sellers offer items at fixed prices. These items have a UPC, ISBN, or SKU number. They are not collectible items. The items sold on Half.com are books, textbooks, music, movies, video games, and video game consoles. MicroPlace: “Invest wisely. End poverty.” This is something unique — a website of “microfinance” where you can invest in very small businesses from every corner of the world. And you actually have the potential to earn interest. PayPal: PayPal’s no secret; it’s the Internet’s leading payment processor for small business. ProStores: An eBay company that will help you set up your own business on the web. 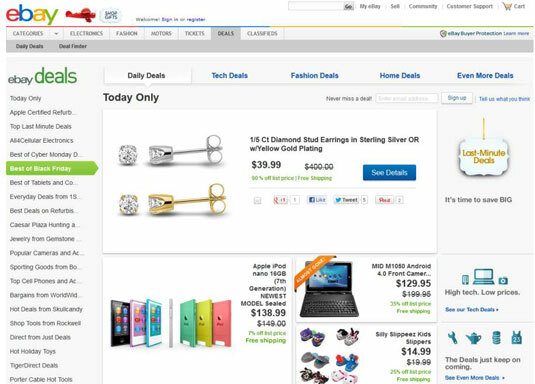 The stores are integrated with eBay — although you can also make a similar connection with a regular hosted e-store. Shopping.com: As a web-based price-comparison service, Shopping.com has features to help shoppers make informed shopping decisions. This site also has extensive product reviews and ratings from across the web. StubHub: This is a service that acts as an online marketplace for buyers and sellers of tickets for sports, concerts, theater, and other live entertainment events. StubHub takes a 15-percent commission of the total amount of the sale. eBay sites: Links you to eBay’s international ecommerce sites. From a pop-up menu, you may enter eBay for an impressive number of countries. The international sites are in the country’s native language. It might be a good place to practice your third-year French — or maybe not! Remember that after you leave eBay USA, you’re subject to the contractual and privacy laws of the country you’re visiting. You may notice that the graphic links on the home page change from day to day — and even hour to hour. If you’re interested in the featured areas of the site, visit this page several times a day to see the entire array of special happenings on eBay.